Empathy is the “identification with and understanding of another’s situation, feelings, and motives.” As a nation, as a culture, as individuals, we become healthier by being able to imagine what it’s like to be someone else, to vicariously experience another’s vulnerabilities and hardships, as well as motivations and successes. Through visualization that incorporates all the senses, we can elicit empathy to communicate better and solve problems more effectively. Whole-body Thinking When facilitating leadership groups, I introduce the concept of whole-body thinking by saying the word “chair” and asking people what comes to mind. Even with small groups, where everyone is sitting in the exact same type of chair, there is never consensus. If you’ve just returned from vacation, are a new mother, have a bad back, or like to read comfortably, the chair in your mind might be a beach, rocking, ergonomic, or not a chair at all, but the sense of comfort you have when reading in your favorite spot. You might only have a clear image of the utilitarian chair beneath you in the meeting room. 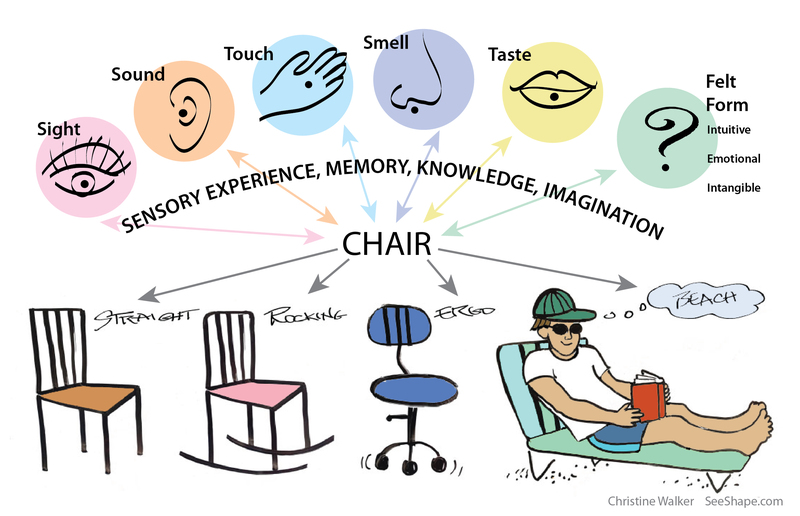 Our understanding of concepts is layered in our bodies and minds through memory and the senses. If we think we’re all talking about an idea without acknowledging and articulating our affinity for and experiences with those concepts, then we’re not communicating well. Words alone, though we think we agree on their meaning, can mislead even our best intentions. How does your sensory experience, memory, knowledge, and imagination enable you to be more empathic? 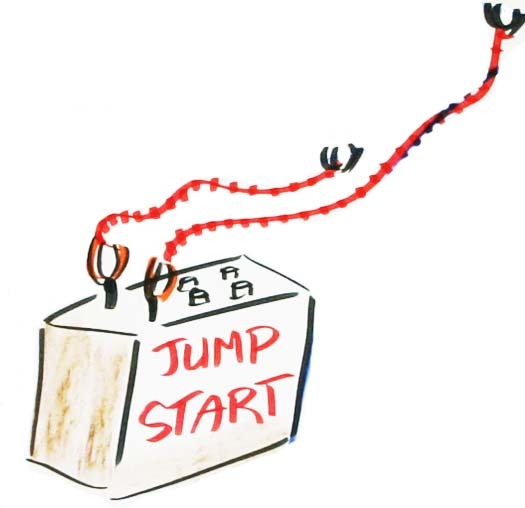 If the “chair” you’re discussing is actually health, education, equity, leadership or any other concept where you are seeking discovery and collaboration, how might you use visualization tools for whole-body thinking? 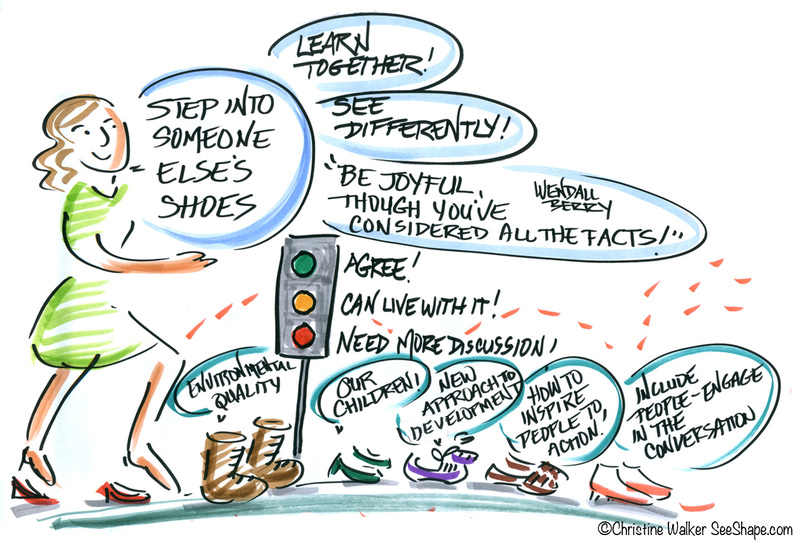 The empathy that we get from “stepping into someone else’s shoes” or “sitting in someone else’s chair” helps us deepen conversations and realize productive outcomes. See thought. Shape vision. Focus action. These simple statements encapsulate a complex process that engages whole thinking. It’s a left and right brain gestalt which is not only greater than the sum of its parts, but also a synergy that sparks energy for innovation and motivation. YouTube Channel Writing Fiction and Visual Storytelling – Be inspired every day! New videos every Friday.